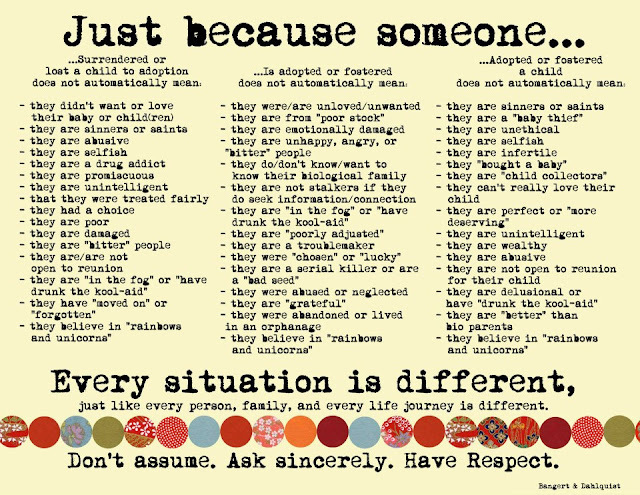 Adoption assumptions and adoption myths can kill respectful conversation, and often, they're just plain hurtful. 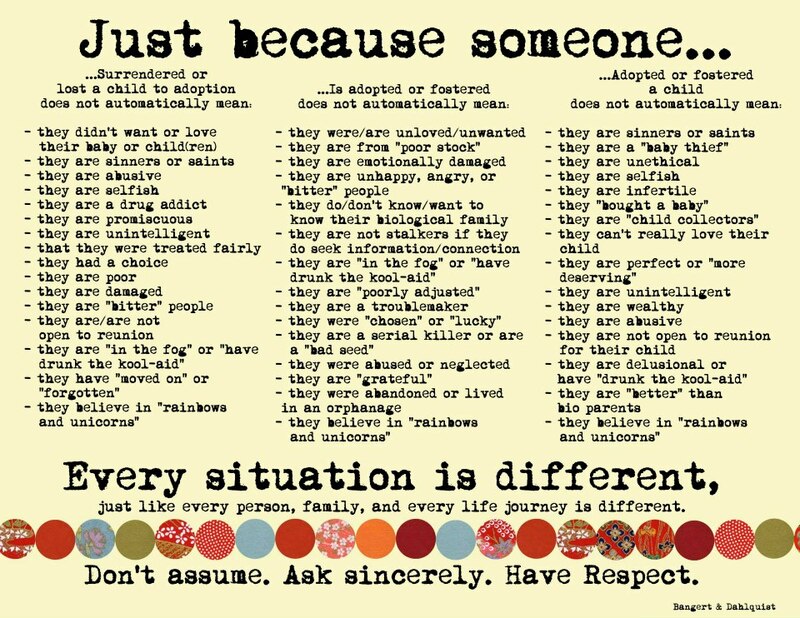 Don't assume. Ask sincerely. Have respect. That's pretty good advice for discussing just about anything, but it's especially true for a topic as emotionally loaded as adoption. 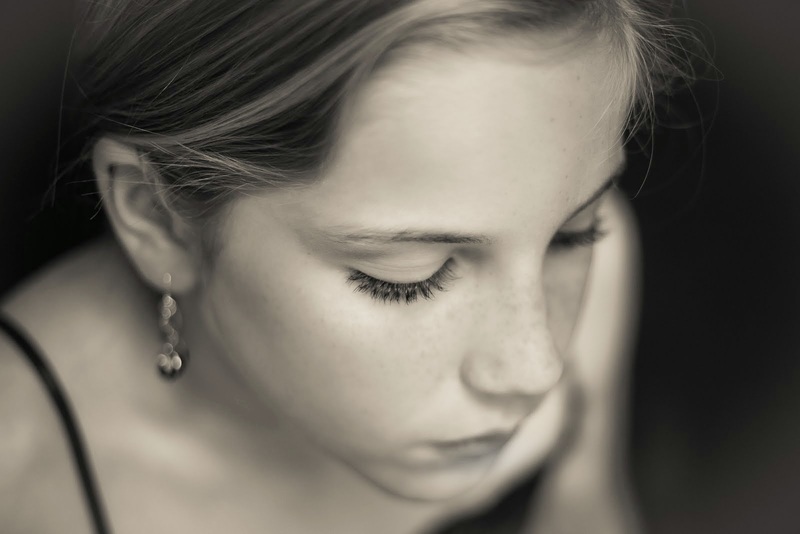 Have you ever felt misunderstood or hurt by someone's assumptions about your adoption? 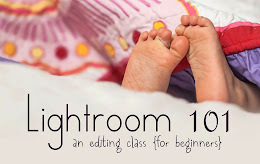 Would love to hear from adopted adults, first moms, and adoptive parents on this one. We are in the process of adopting. When I told someone we were adopting from China they made some comment that implied we were racist and didn't want a black baby from Africa. It was hurtful because We are not racist. 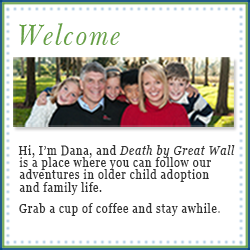 Our decision to adopt from China had more to do with other factors such a time and money. It was just the best fit for our family. Likeschocolate - Sometimes you just can't win, can you? Sorry to hi-jack the comments as I am not an adoptive mummy but have friends who are. I can only imagine the hurtful things people must say while they are 'trying to make conversation'. My beautiful girls look more like their Filipino dad than they do me and I have been asked so many times by strangers 'where I got them from'. I could take it as just nosey people but my kids would often ask what the people meant and it upset my older child until she was old enough to understand a bit more and she can see all her baby pics/birth cert etc.. The other one was asking if I was their Nanny. To begin with I was all paranoid that I didn't look motherly enough towards them. Now I realize like you say that some people just aren't skilled in tactful conversation. I am sharing this in the hope that it might give someone an 'aha' moment and save some hurt. Thanks Piwi Mama. "Some people just aren't skilled in tactful conversation." I totally agree.